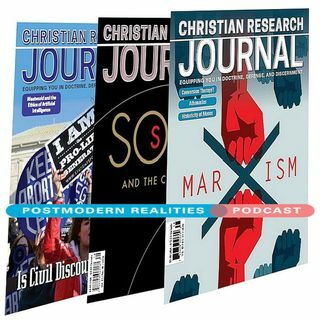 Postmodern Realities Episode 038 - "Engaging Unbelievers Philosophically"
It is often useful to prepare people for the gospel by asking them some key philosophical questions to help them recognize that truth is exclusive. In our postmodern culture, people think that we all create our own truth, so why would it matter what religion we believe? Universities claim to teach young people to think, but most teach relativism and thus undermine even the most basic distinction between truth and falsehood. Therefore, Christians should help an unbeliever understand the concepts ... See More of truth, knowledge, and the law of noncontradiction. This podcast episode is a conversation with author Mark Bird as he answers questions about witnessing to non Christians using philosophical questions. Issues discussed include How can understanding how to answer major philosophical questions from a biblical perspective help when talking with an unbeliever? What philosophical questions do you ask? How do you actually start the conversation? How do you help an unbeliever understand what truth is? How do you help an unbeliever understand what knowledge is? Why do you talk them about that? How do you help an unbeliever understand that the universe has a First Cause? Where do you work the gospel into a philosophical discussion?